Scientists tell the story of their research in ONE image, in the AXA Research Fund Photo Contest. Vote for your favorite! 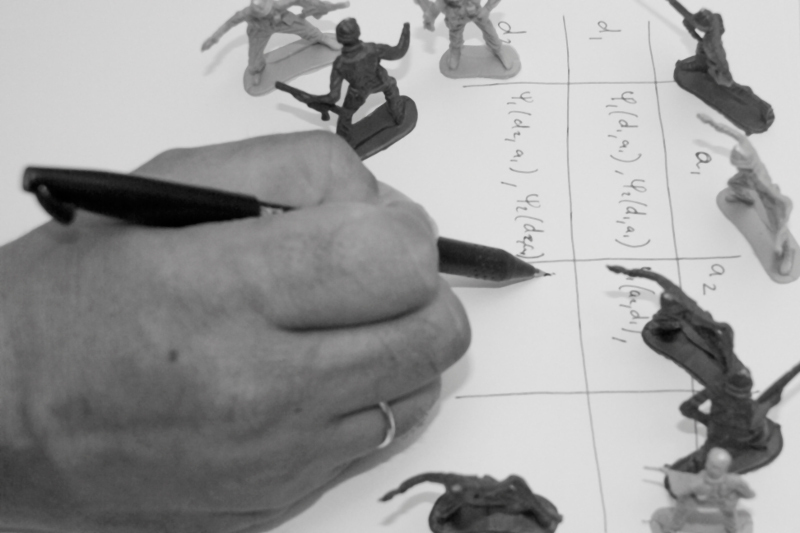 "Imagine the toy soldiers in a conflict, each side driven by its own logic and motivations." Behind events like terrorist attacks and cybersecurity breaches are human enemies, acting on self-interest or malicious intentions. Risk analysis for adversarial situations—found in areas from national security to corporate marketing—involves intelligent opponents driven by their own motivations and preferences. By combining the methods of mathematical game theory with decision and risk analysis, Prof. David Rios is developing a new field to support rational, strategic choices when faced with different kinds of adversaries. Vote for this photo by "liking" it in the AXA RF Photo Contest's Facebook Gallery! See all the creative entries in the research photo challenge. Vote for your favorite by September 25, 2016! Find him on Twitter at @davidrinsua. Visit the Media Gallery to learn more about the AXA Research Fund photo contest.